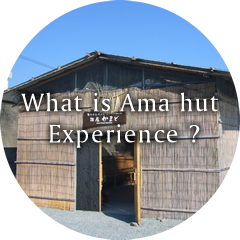 What is Ama Hut Experience ? 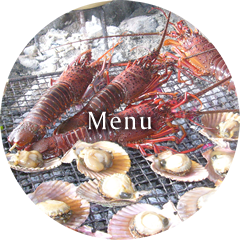 you can try snacks and meals cooked over the fire. 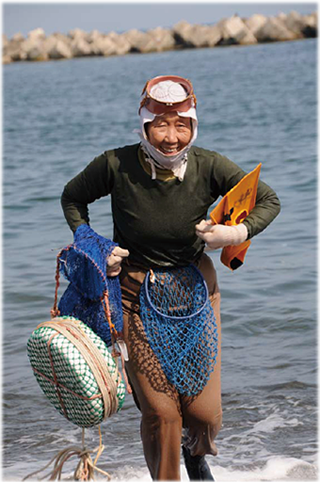 There are about 1,000 professional woman shellfish divers called“ Ama” in the Ise-Shima area. 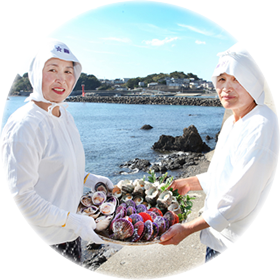 They are vigorous working women of Ise-Shima and say cheerfully, “A full-fledged Ama diver has the guts to even feed her husband.”Traditionally, they dive into the sea without diving equipment like oxygen tanks to catch shellfish and seaweed. 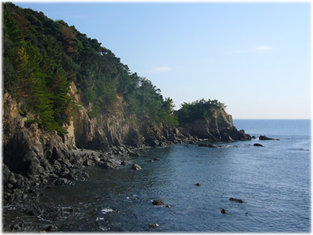 Their fishing method has a long history and can be traced back through some ancient records. 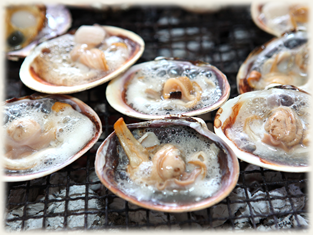 It is definitely part of the Japanese life culture.While working in the sea, they breathe in a unique way to avoid damage to their lungs. Their breathing method is called “Isobue” (literally “sea whistle”). It sounds really plaintive and was once selected as one of the 100 Sounds of Japan. 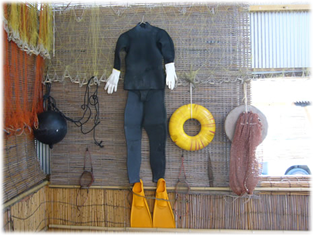 “Ama Hut”literally means a hut where Ama divers take a rest and amuse themselves with their fellow divers after diving. 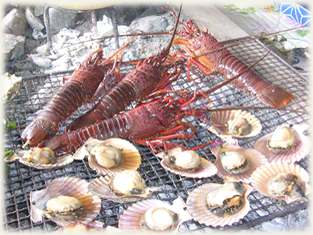 Visitors can enjoy the fine flavor of char-grilled local fresh seafood while listening to the stories told by the vigorous and cheerful real Ama divers in their white diving suits. Please make a reservation at 5:00 pm the day before . 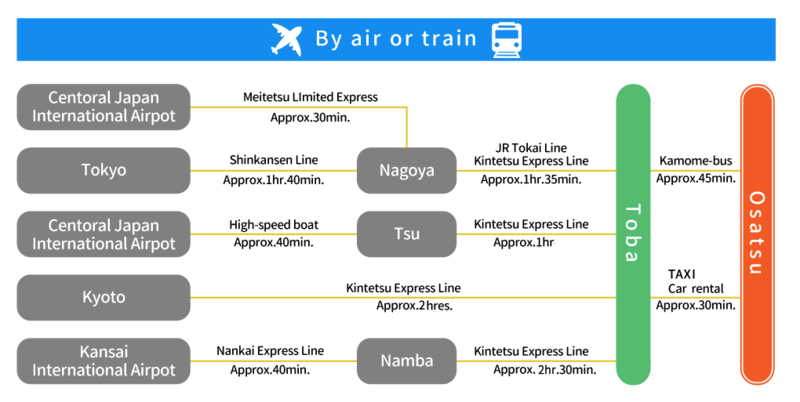 ※From Toba to Osatsu-cho , please use the car rental or Kamome-bus or taxi. 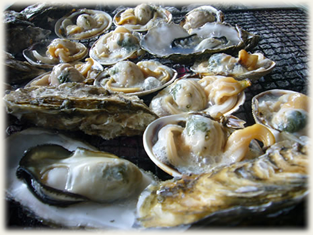 It rides on （5）.国崎（KUZAKI） going. 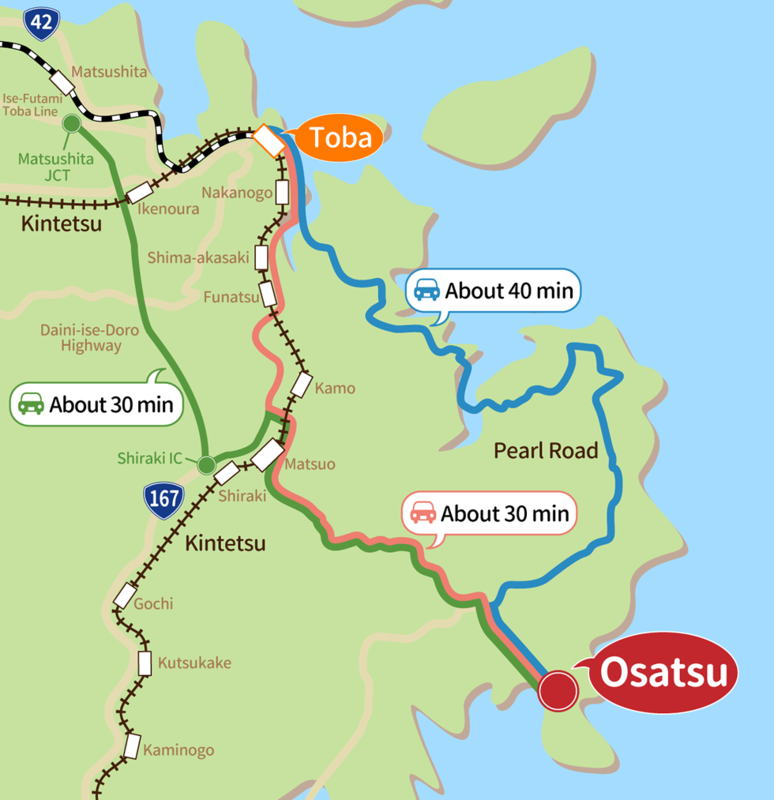 A bus is required for 45 minutes. It is one person of @600 yen. Ama divers are motivated to engage in such hard and dangerous work because of their profound faith in “Ishigamisan”, the goddess enshrined at the approach to Shinmei-jinja, a Shinto shrine located in Osatsu, Toba City.This goddess is famous for her mystical power to realize just one dream of each woman and therefore visited by a great number of people. 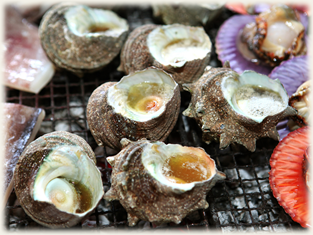 Long ago, it used to be believed that there was a monster in the sea.Ama divers drew a symbol called “Doman-seman” on their tools as a charm against evil.At the office of this shrine, visitors can buy talismans with that symbol printed on them. This facility, which was remodeled from an 80-year-old private residence, is located at the approach to Shinmei-jinja, a Shinto shrine. 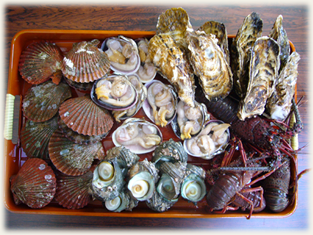 Seafood caught by ama divers, “Doman-seman”-related items as charms against evil and the like are available for sale. 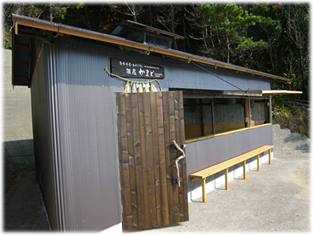 Besides, you can take a break at the cafe inside it. 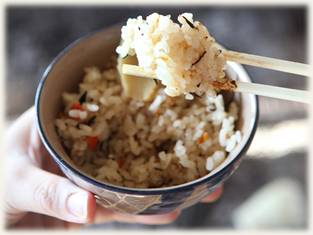 Agar-agar made by ama divers only from the agar weeds caught in the sea of Osatsu enjoys great popularity. 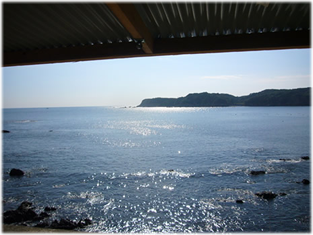 This museum, located in Osatsu where the largest number of Ama divers live in the Ise-Shima area,　conveys the culture and history of the divers as well as their hometown. 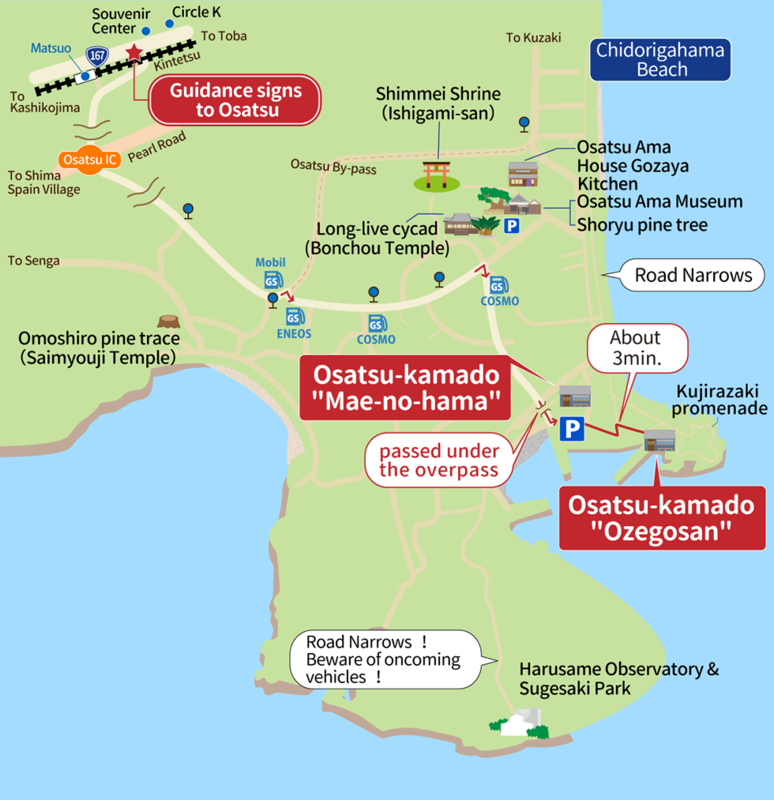 Besides, it is a popular spot among those who enjoy a stroll and communication with people in Osatsu. 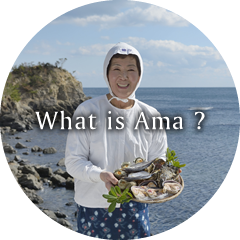 Copyright © 2016 Osatsu Ama culture Council Institute All Rights Reserved.